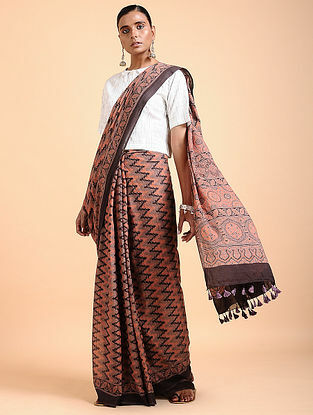 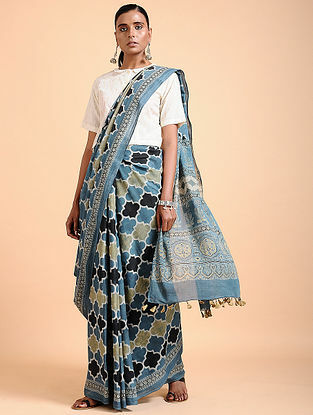 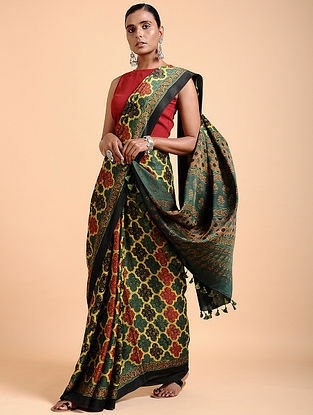 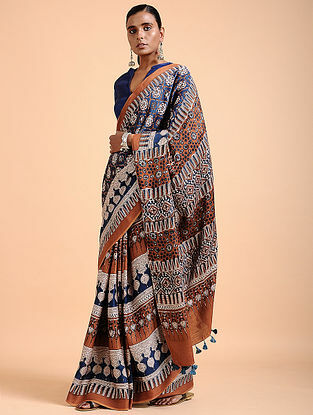 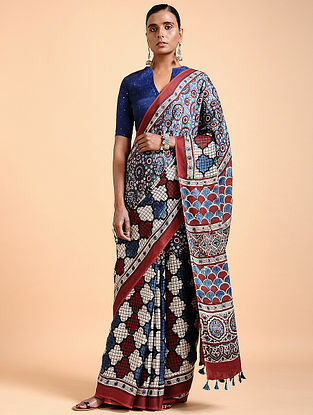 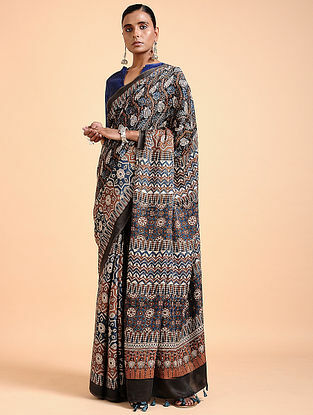 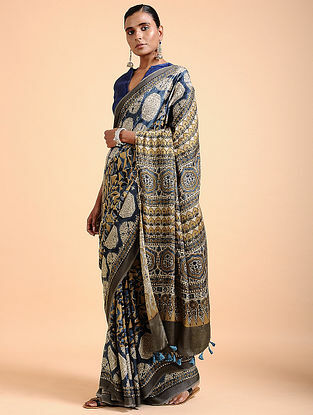 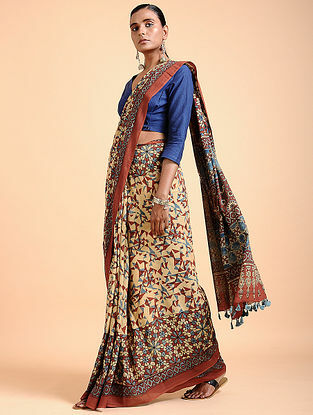 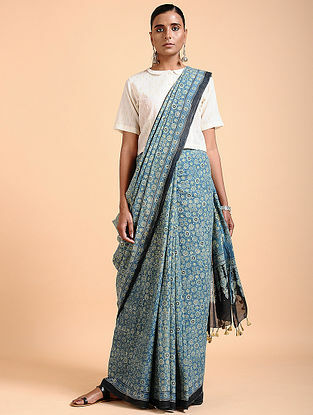 Drape yourself in the heritage of Ajrakh block-prints with Jaypore’s newest collection of modal sarees. 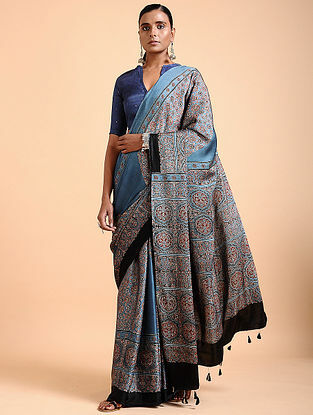 Each piece is exquisitely crafted under the mastery of Sufiyan Ismail Khatri and bears the stamp of an unbroken legacy of award-winning block printers. 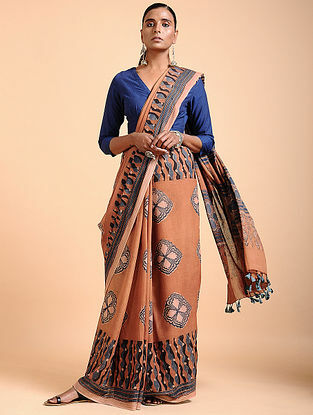 Rendered in an array of natural dyes and edged with tassel details, these sarees are a must-have for the true craft connoisseur. 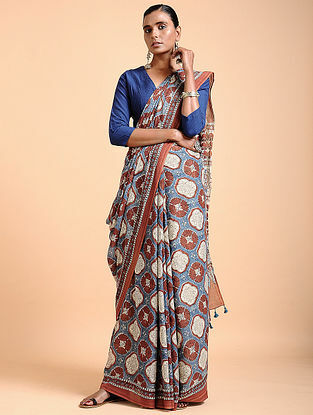 Pair with a solid colored blouse, and strappy footwear and let the six-yards shine.